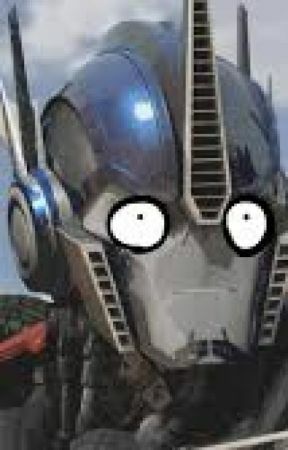 After the Autobots found Optimus who was in the Decepticons&apos; ship joking around and getting Knockout awake. The Autobots and Decepticons decided to play basketball. Shockwave: (Plays as a referee) *Blows the whistle and throws the ball into the air* Go! Megatron: *Gets the ball and dribbles to the basket goal* IN YOUR FACE, PRIME! Arcee: *Runs and blocks him off* NO, HELL YOU DON&apos;T! Ratchet: WE NEEDED THAT POINT! Soundwave: *Teleports to the other side and shoots in to TEAM SCRAP YOU TOO&apos;S basket goal* Thats how you do it NOOBS! Megatron : STOP PRIME NOW! Knockout: OVER HERE, THROW IT TO ME! Arcee: *Steals the ball and passes to Optimus* Thats mine, thank you! Megatron: *Jumps high and hits the away from the goal* NOPE! Shockwave: It is a tie between both teams! Wideye Prime: *Shakes Megatron&apos;s hand* Good game. Everyone: *Looks at the floor* UNICRON!